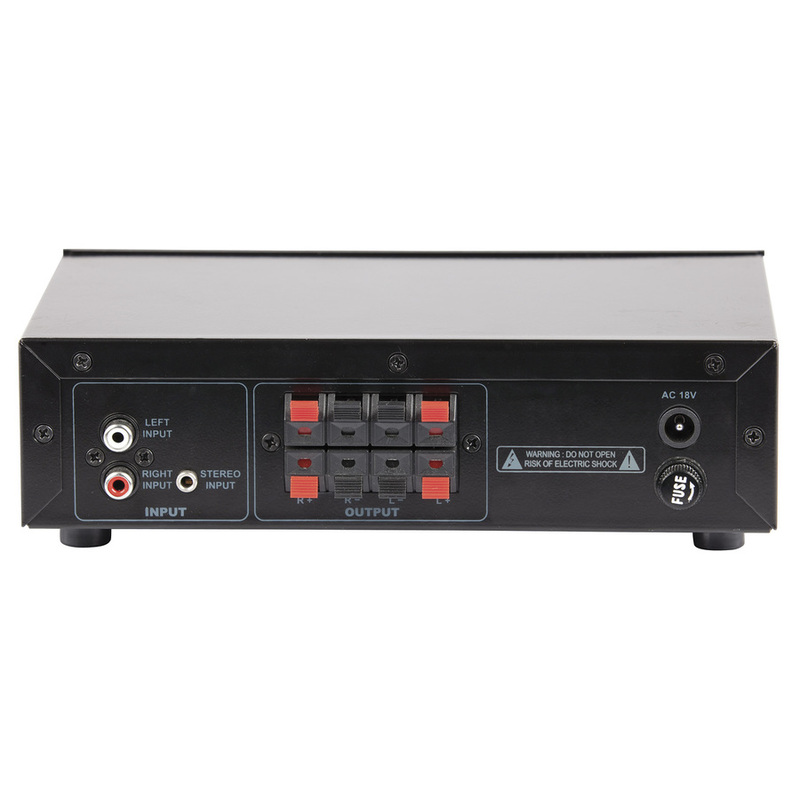 A compact amplifier that can deliver up to 25WRMS of power per channel. It is ideal for home, office or a small workshop. Connect audio to the stereo RCA or 3.5mm line input, connect your speakers to the push down spring terminals,connect power and you're in business. 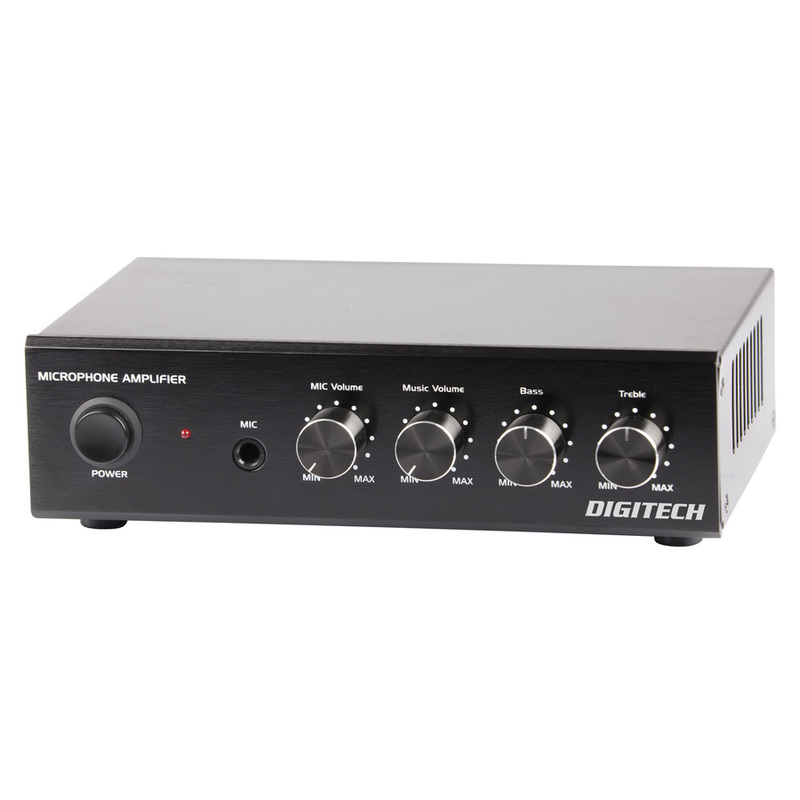 There is also a 6.5mm microphone input on the front, making it ideal for a small office or workshop PA system. Controls include mic volume, music volume, bass and treble.